1. A clause used in some insurance policies whereby an insurer waives the need for the policyholder to make an inventory of assets left undamaged after an insured event. The waiver of inventory may be contingent on the degree of loss. inventory Stock on hand in the form of goods ready for sale. Also includes raw material in the process of being manufactured or completed for sale. valuation clause A clause in an insurance contract that states how much an insurer is willing to pay for an asset after an insured event. waiver The intentional and voluntary renunciation, abandonment, or surrender of some claim, right, or privilege. Rates are at historic lows. 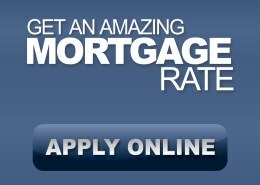 Want to see how the prime and mortgage rates have changed over the last ten years? Find more information with our mortgage rate history tables and graphs.